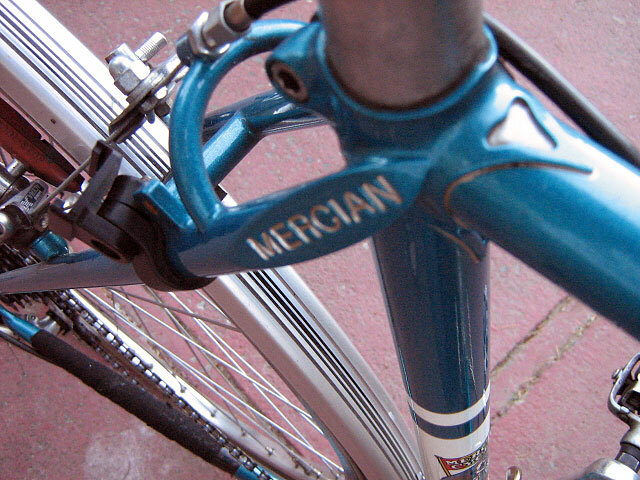 Mercian King of Mercia, custom frame from spring of 2005. 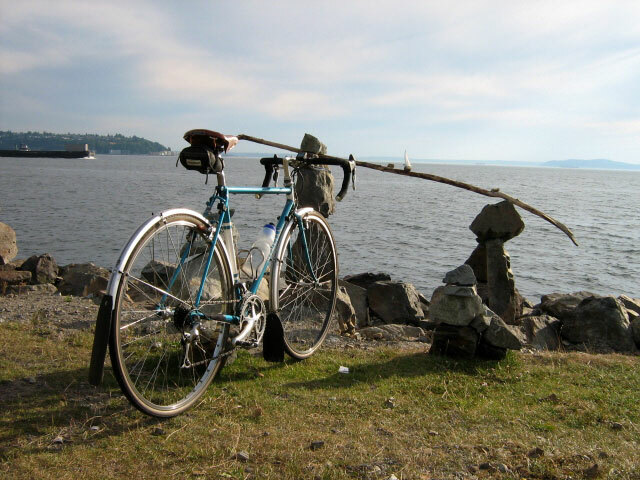 Geo spec'd by Bob Freeman at Elliot Bay Bicycles here in Seattle; frame built at the Mercian factory in Derby, England. Turquoise Pearl w/ white panels and cutouts, and champagne lug lining. 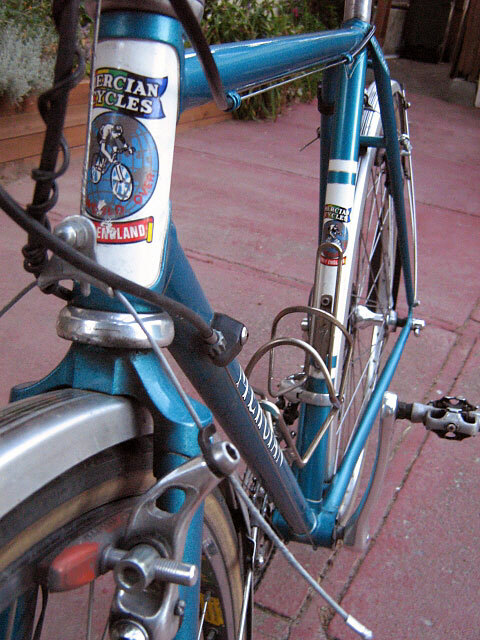 Set up for now w/ Campy ergo, and a mix of other parts - Brooks, Ritchey, Nitto, Ruffy Tuffies, etc. 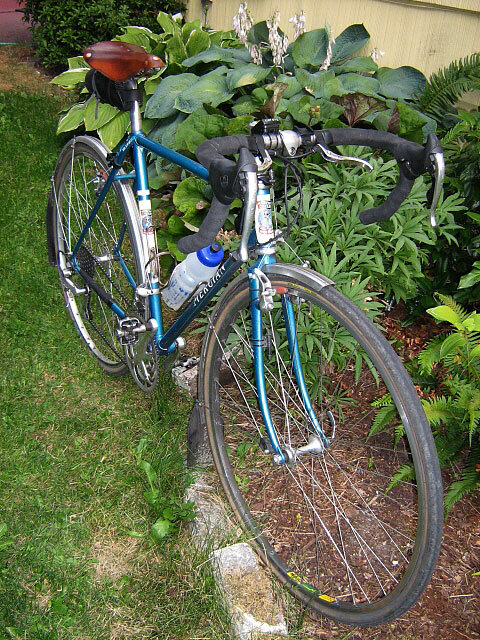 Some day she'll likely get Noodle bars and bar end shifters, but for now still enjoying shifting from the hoods. 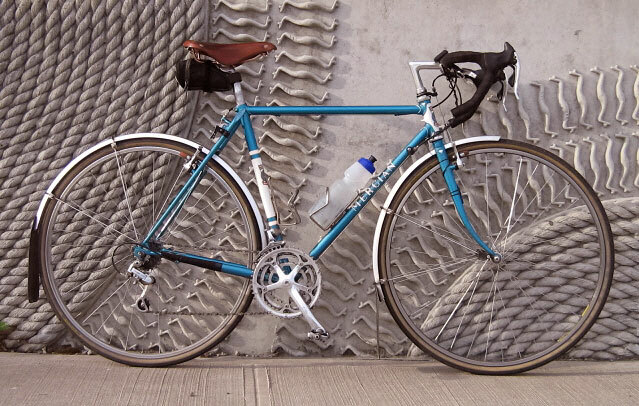 Lots of clearance for fenders, racks, wider tires. She's just a great everyday, all around, go-anywhere ride!